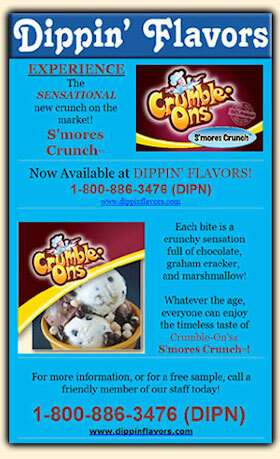 Newspaper articles, Magazines, and Digital Media are all talking about S'mores Crunch®! 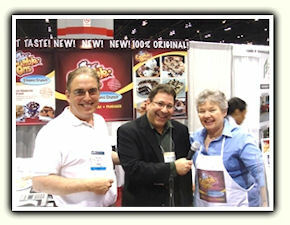 From Joe Harberg, Eat More Chocolate radio host and chief chocolate eater. "I love S'mores and have sampled hundreds of versions over the years. 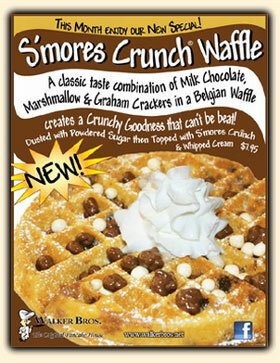 Trying S'mores Crunch® for the first time, stopped me in my tracks. This is one of the most interesting representations of S'mores I have ever tried. I now have a new favorite topping and mix-in for ice cream, pancakes, cookies, and so much more." On a Quest to Find the Best Chocolate in the World! All information collected on this web site will remain strictly confidential and will not be sold, disclosed to third parties, or reused without your permission. Information provided by you to us will be held with care and not be used in ways that you have not consented. You can trust that your order will be processed and shipped quickly. Allow up to 5 days for delivery. Products are shipped anywhere in the US via Federal Express Two Day Ground service. Our perishable products are carefully packed for safe delivery. S'mores Crunch® is packed in Styrofoam containers along with ice packs to ensure that heat won't melt the chocolate coatings. Store S'mores Crunch® in a cool, dry place. Do not expose to extreme heat or humidity. Shipments require a signature for delivery. Orders to PO boxes are not accepted. Please make sure the address and zip code are correct. A $10 fee is charged for an incorrect or incomplete address. Meyers Bay Foods Company does not currently ship products outside the United States.